From Ableware® by Maddak, Inc. 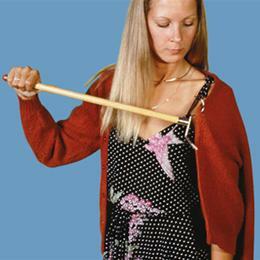 Ideal for anyone who has difficulty bending, a limited range of arm movement, or the use of only one arm or hand. Large hooks on one end and small on the other.